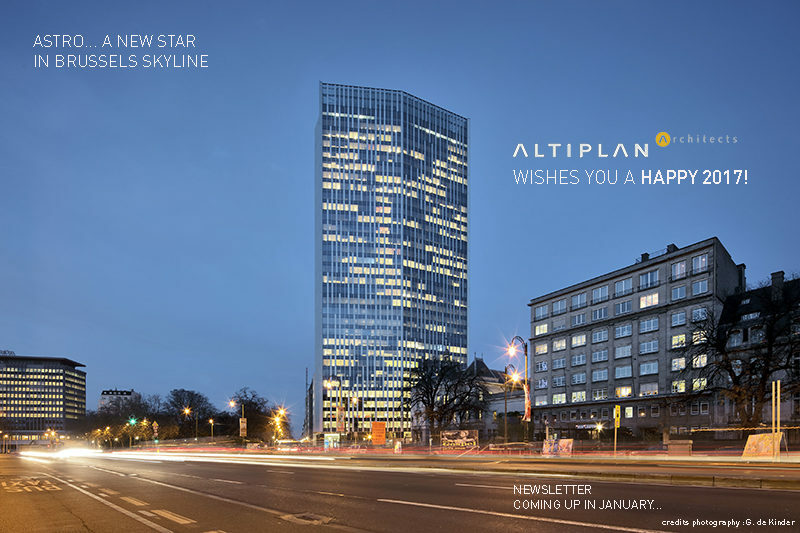 ALTIPLAN°architects wishes you a very Happy New Year and all the best for 2017! Picture of the Astro Tower, a realisation of ALTIPLAN°architects in collaboration with Estudio Lamela architectos. Passive office building renovated in 2016. The Brussels employement regional office Actiris, the Flemish employement office VDAB and Bruxelles-Formation just moved in the Astro Tower. 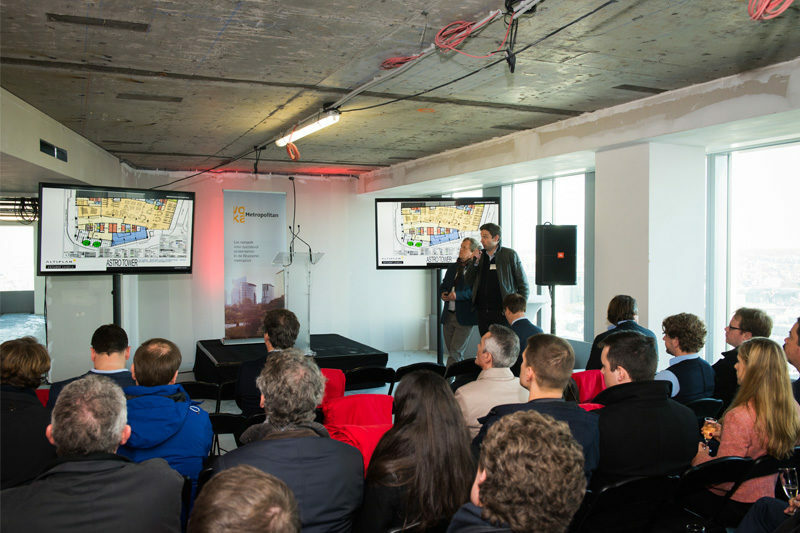 ALTIPLAN° was awarded 2nd prize of the competition for the transformation of a creative hub in Namur. 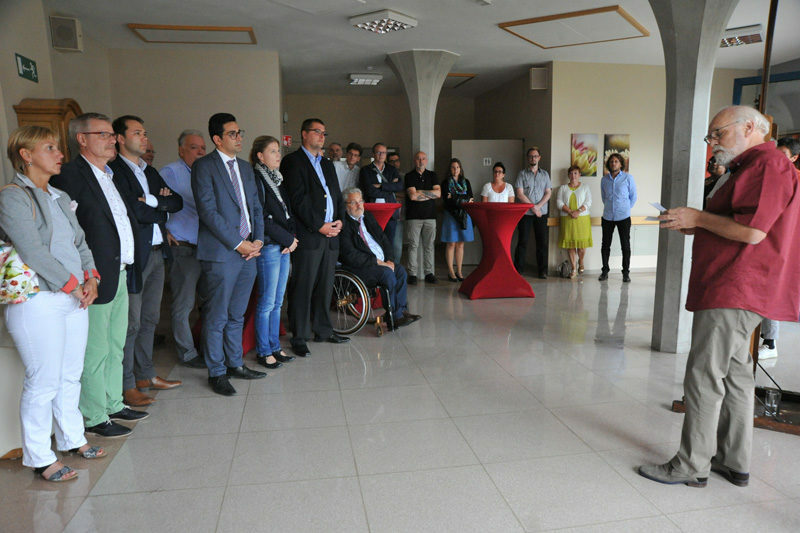 The first stone laying ceremony of the Sankt-Joseph resthome’s extension and conversion project took place this Friday 16th September 2016 in the presence of the President of Eupen Social Welfare Centre, the Minister for family, health and social affairs and ALTIPLAN°. 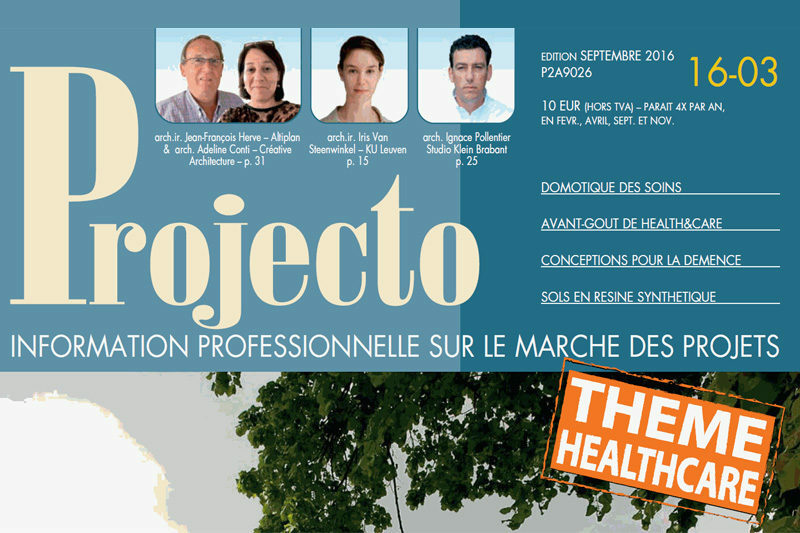 Publication in the September issue of Projecto Magazine about Healthcare projects of ALTIPLAN° and Creative Architecture’s project “La Barcarolle” in Stembert. End of works planned for this autumn. The project features 13 2-room apartments and one 3-room apartment on nine floors. The two top floors are somewhat set back at the front and back of the building, thereby making the building seem less high. The design of the facades on the first 7 floors differs from that of the top 2 floors. It features pre-cast white concrete blocks seemingly placed randomly, whereby each narrow-width block separates one bay window from the next, acting as a sun shield. Each apartment has a sunny balcony with a glass balustrade and a splendid view of the Meuse and the Outremeuse neighbourhood thanks to the full-length bay windows. The top 2 floors differ in volume. The building is clad in white metal, whereby the apartments have large terraces clad in exotic wood. The facade will incorporate discrete LED lighting, switched on in the evenings. The rear facade and the gable are covered by white rendering. There will be 15 parking spaces and 1 disabled parking space at the rear. Particular attention has been paid to the landscaping with a view to giving the complex a green touch: the parking spaces are made of a reinforced grass paving system, while the roadways are of self-draining concrete. A tree and numerous shrubs will be planted. The surfaces between the car park and the site’s boundaries will be lawn. The members of the Voka Realty Club had the opportunity to visit the Astro Tower site, which is currently undergoing an in-depth renovation. 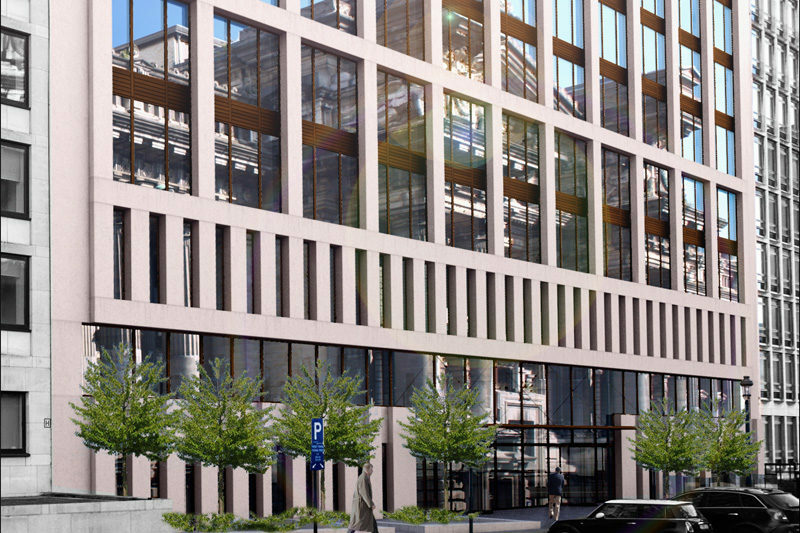 In autumn, it is more than 1.100 employees from Actiris, VDAB Bruxelles and Bruxelles Formation who will move in the office tower, close by to the « place Madou ». 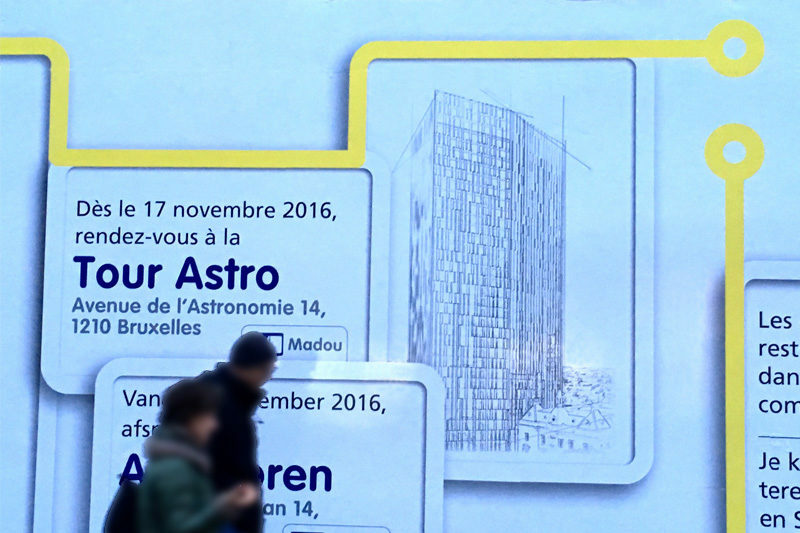 The Astro Tower is a showcase for Brussels, partly due to its innovative renovation which makes it one of the first passive towers in Europe. With its 107 meter high and 33 floors, the Astro Tower is the fifth tallest building in Brussels. 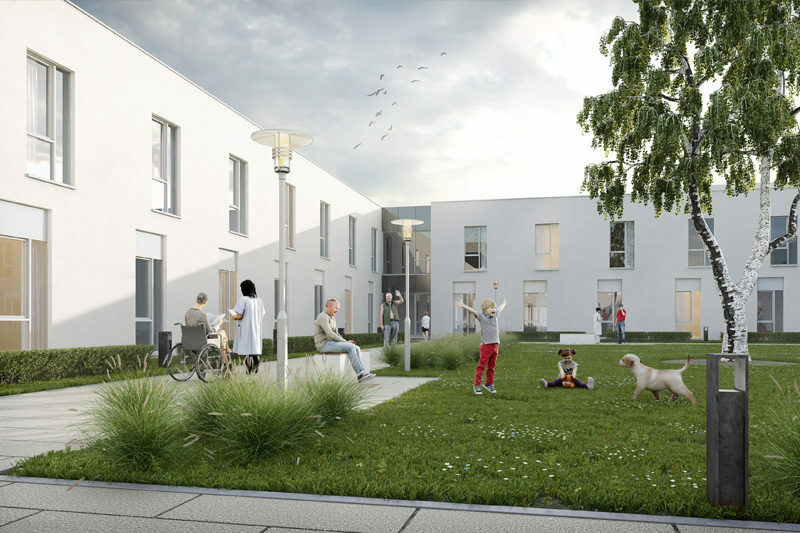 Antonios Antoniadis, Minister of health of the German-speaking Community gave his green light to the extension and renovation of the St-Joseph resthome in Eupen. Awaiting building permit for the reconstruction of the former Vivaqua HQ building next to the Justice Palace. 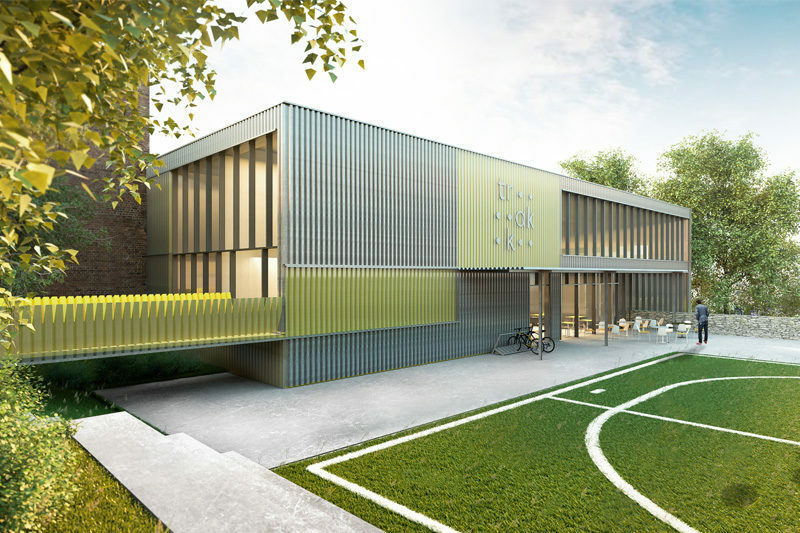 The project will be labelled “Passive 2015” and BREEAM Excellent. 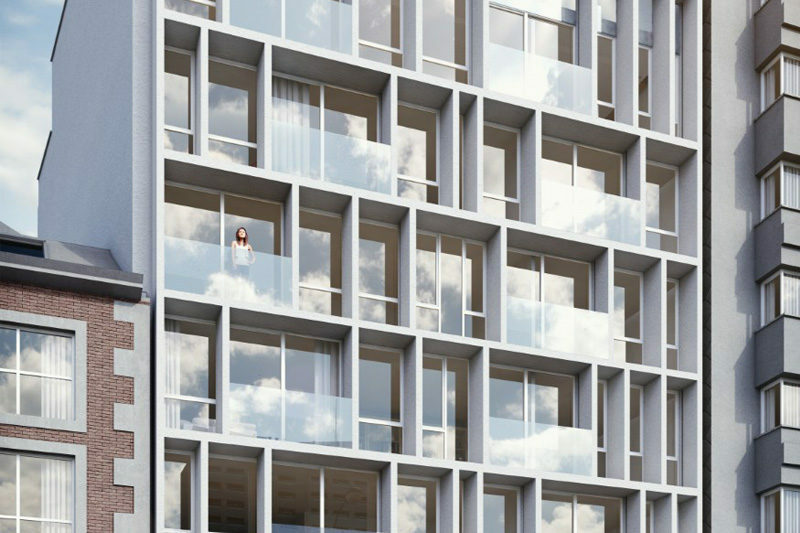 Building permit granted for the construction of a high-end block of 45 apartments, 2 penthouses and a polyclinic on the ground floor. 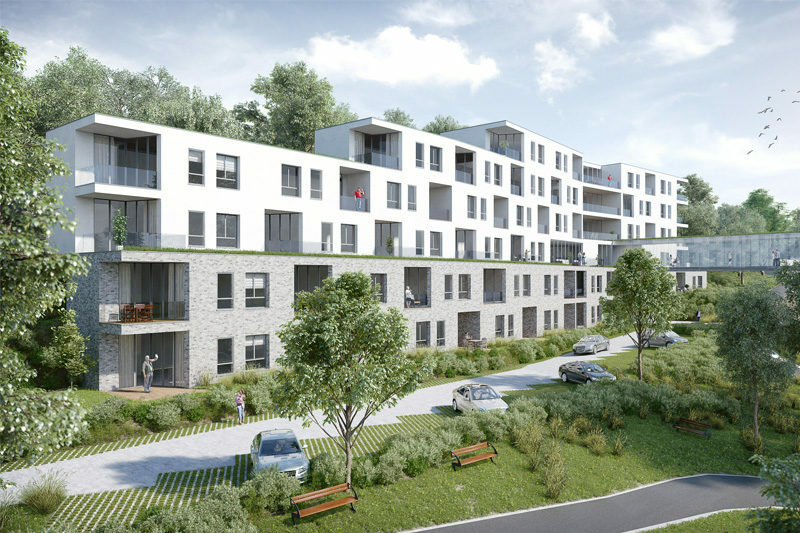 ALTIPLAN°, in association with Creative Architecture and BEL, won the competition for the construction of 39 service flats on “Les Heures Claires” site in Spa and 44 service flats on “Léon d’Andrimont” site in Limbourg. 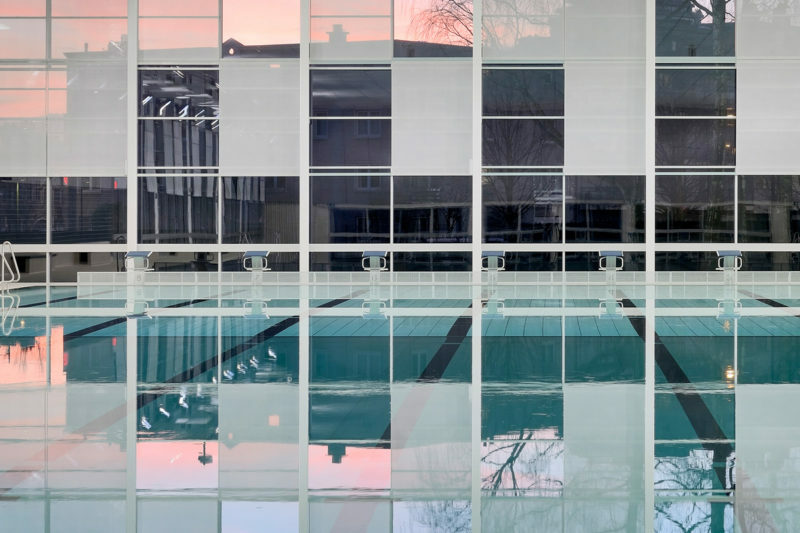 After two years of closure, the Louis Namèche swimming pool in Molenbeek was officially inaugurated and will reopen its door to the public on 23rd January. 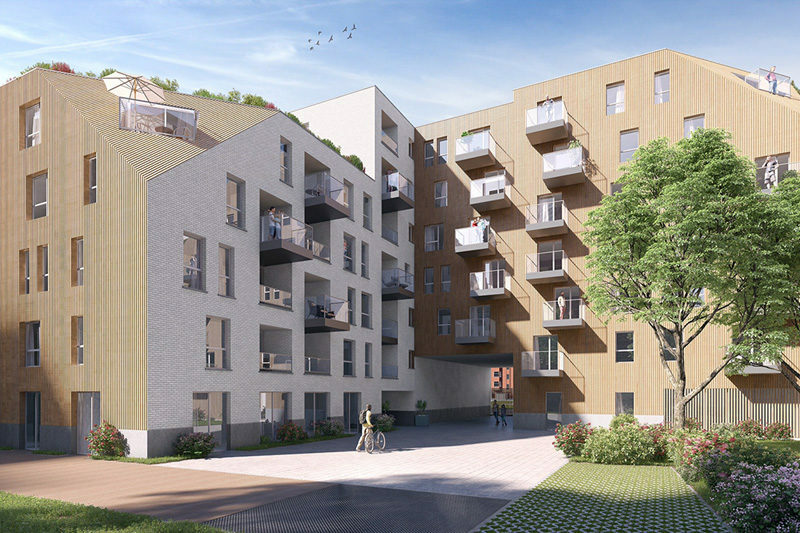 Limestone Investors Brussels appointed ALTIPLAN°architects and Jones Lang Lasalle to carry out a study for the redevelopment of “Ilot Saint-Michel” in Liège. 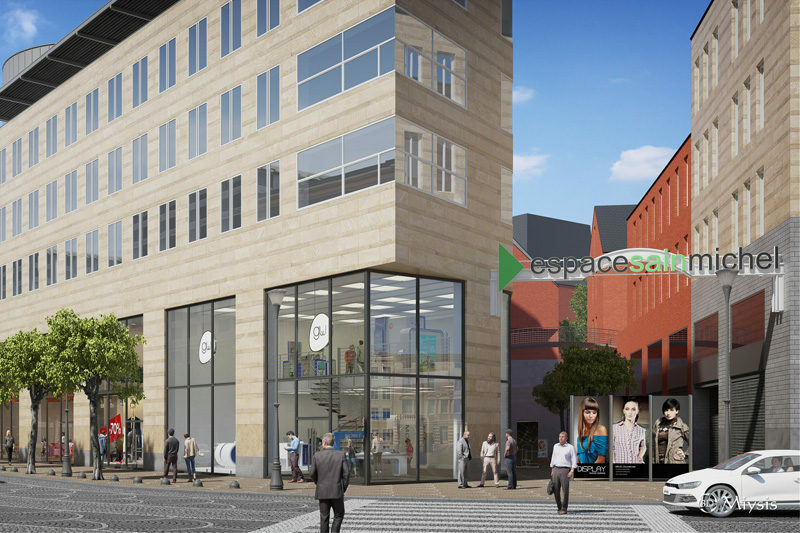 The study is designed to revitalize the commercial activity in this part of the city center near Place Saint-Lambert.